ZO Japan. Stud. Art Hist. Why study Chinese Studies at Heidelberg University? Some good reasons. Information for international students is available here. The Institute of Chinese Studies is moving! From 5-10 April we are moving to the address mentioned below. Please note that in the week before and after the move, from April 1 through April 12, the administrative office (secretary) is closed. For a full list of the current consultation hours please refer here. Vetrov, Viatcheslav"Xin zi xue": "新子学". IN: Zhu zi xue kan, Shang hai: Shang hai gu ji chu ban she, 2019, 271-286. Oschema, Klaus, Mauntel, Christoph, Hofmann, Martin, Ducène, Jean-CharlesMapping continents, inhabited quarters and the four seas: divisions of the world and the ordering of spaces in Latin-Christian, Arabic-Islamic and Chinese cartography in the twelfth to sixteenth centuries; a critical survey and analysis. 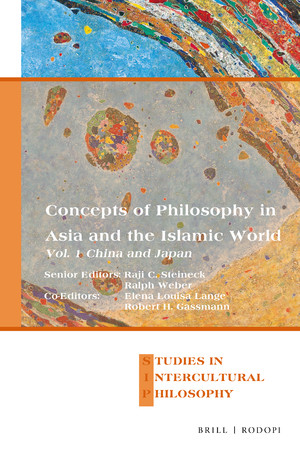 IN: Journal of transcultural medieval studies, Berlin ; Boston, Mass. : De Gruyter, 2018, 295-367. Monschein, YlvaLost in recollection: Gao Fenghan‘s (1683-1749) reflections on Langya terrace. IN: Studia orientalia slovaca, Bratislava: Univerzita Komenského, 2018, 47-67. Wagner, Rudolf G., Lai, Qianye, Xu, Baike, Wei, Quan, Mao, Likun, Cui, JieyingWan Qing de mei ti tu xiang yu wen hua chu ban shi ye: 晚清的媒體圖像與文化出版事業. Xin Tai bei Shi: Zhuan ji wen xue chu ban she gu fen you xian gong si, 2019, . Vetrov, Viatcheslav[Rezension von: Adamek, Piotr: A good son is sad if he hears the name of his father: the tabooing of names in China as a way of implementing social values]. IN: Journal of Asian history, Wiesbaden: Harrassowitz, 2018, 333-336. Müller-Saini, GotelindBetween history, heritage, and foreign relations: extant Westerners’ cemeteries in Guangzhou and Shanghai. Heidelberg ; Berlin: CrossAsia-Repository, 2018, 1 Online-Ressource (56 Seiten). Münning, MarianaSprachpolitik als Selbstzensur: „Elegante Sprache“ (yayan) und „volkstümliche Zeichen“ (suzi) bei Wei Jiangong (1901-1980). IN: Worüber man nicht spricht, Wiesbaden: Harrassowitz Verlag, 2018, 91-112. Kwon, JaokForging feminism within labor unions and the legacy of democracy movements in South Korea. IN: Labor history, Abingdon: Routledge, 2018, 639-655. Kwon, Jaok, Pohlmann, Markus, Schöttli, JivantaTransnational corporate elites in Japan: international career mobility in East and South Asia. IN: International journal of Japanese sociology, Oxford: Wiley-Blackwell, 2018, 1-16. Kwon, Jaok, Pohlmann, MarkusGlobalization and corporate elites in South Korea: education and career mobility. IN: Korea observer, Seoul: Acad., 2018, 543-568. Vetrov, ViatcheslavPolitically correct: von philosophischen Entgleisungen zu einer gereinigten Philosophie. IN: Minima sinica, Großheirath: Ostasien Verlag, 2017, 1-26. Arnold, Matthias, Nunn, Christopher AlexanderIf Kant used a computer… #DHd2018 (“Digital humanities im deutschsprachigen Raum”). IN: Interdisciplinary forum of digital textual sciences, Heidelberg: Stefan Karcher, Christopher Nunn, University of Heidelberg, Faculty of Theology, 2018, ?. 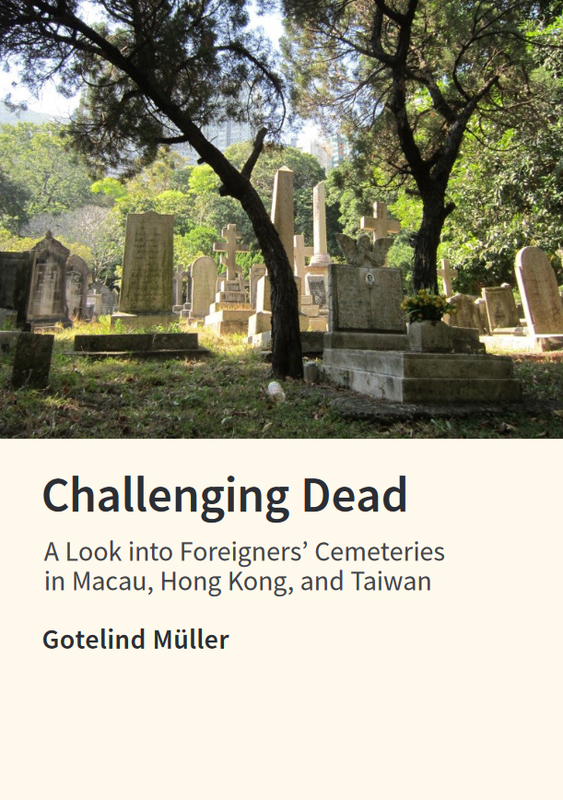 Müller-Saini, GotelindChallenging dead: a look into foreigners’ cemeteries in Macau, Hong Kong, and Taiwan. Heidelberg ; Berlin: CrossAsia-Repository, 2018, 1 Online-Ressource (53 Seiten). Wagner, Rudolf G.¬The¬ language of heaven. IN: Reading the signs, München: iudicium, 2018, 97-126. Wagner, Rudolf G.¬The¬ free flow of communication between high and low: the Shenbao as platform for Yangwu discussions on political reform, 1872-1895. IN: T'oung-pao, Leiden [u.a. ]: Brill, 2018, 116-188. 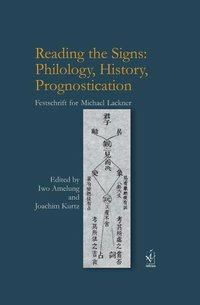 Amelung, Iwo, Kurtz, Joachim, Lackner, MichaelReading the signs: philology, history, prognostication : Festschrift for Michael Lackner. München: iudicium, 2018, 592 Seiten. Giele, EnnoKandai seihoku henkyō hōbigun no shakai kōzō: 漢代西北辺境防備軍の社会構造. IN: Taminzoku shakai no gunji tōchi, Kyōto: Kyōto Daigakugaku jutsu shuppankai, 2018, 111-137. 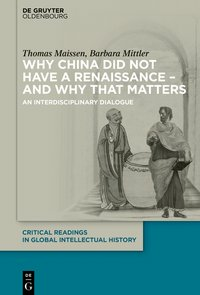 Maissen, Thomas, Mittler, BarbaraWhy China did not have a renaissance - and why that matters: an interdisciplinary dialogue. Critical readings in global intellectual history ; volume 1, Berlin ; Boston: De Gruyter Oldenbourg, 2018, XVII, 240 Seiten. Vetrov, ViatcheslavMoving the target to catch an arrow: Qian Zhongshu’s view of analogies and metaphors in philosophical reasoning. IN: China und Japan, Leiden ; Boston: Brill-Rodopi, 2018, 324-347. Mittler, BarbaraLicht aus dem Dunkel: Renaissance? Topographien chinesischer Intellektualität. 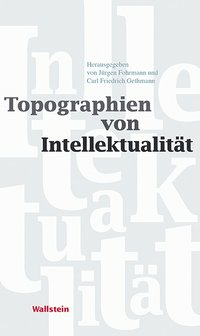 IN: Topographien von Intellektualität, Göttingen: Wallstein Verlag, 2018, 142-233. Hockx, Michel, Judge, Joan, Mittler, BarbaraWomen and the periodical press in China's long twentieth century: a space of their own?. Cambridge, UK: Cambridge University Press, 2018, xxix, 421 Seiten. Rudyak, Marina, Johnston, Lauren A.Zhong guo chuang xin wu shi de dui wai yuan zhu: 中国创新务实的对外援助. IN: Ren li zi ben, chuang xin he ji shu bian qian, Bei jing: She hui ke xue wen xian chu ban she, 2018, 413-423.